Selective match reports back for now due to popular demand - well at least one player I am told missed them! Rome Tour which took place in April 2018 was a great success off the pitch but not a success on the pitch as it was last year, as this time we lost all 3 matches quite comfortably to say the least. Runs and wickets taken will be added to the overall stats for the season. Anyway back to the UK games for now. 2nd game of the season on the Common also did not go according to plan. BCCC 178 for 9 in 40 overs. Nomads 179 for 6 in 39.3 overs . BCCC lost by 4 wickets in the last over. Things did not start well for the Barnes Captain. First thing in the morning a pigeon decided to say hello as most birds do whilst walking his dog and then the Captain found himself astride a 1.5 ton roller which packed up and refused to start again in the middle of the pitch whilst giving it a roll 45 mins before the match was due to start !!! attempt in trying to trouble the scoreboard somehow may have managed to put an swift end to it being a lucky theory !! Weather - Cloudy with smatterings of sun on the Common. Toss- Nomads Captain Saurab called wrongly and BCCC Captain won by default and decided to bat on a rather damp wicket as he thought he had a very strong batting line up. BCCC batting - Nik and debutant Ben opened the innings and things were going well until Nik was LBW for 11 off the bowling of Mr steady Hamza, who incidentally is also the owner of the best Indo-Chinese restaurant in Hammersmith. Ben carried on steadily by holding up one side whilst the Captain came and went cheaply for 4 by offering a thank you for showing up on the Common against a return catch to Suraj who gobbled it up greedily with a brief hint of a smile dancing around his lips !! Vish joined Ben and the two of them put on 50 valuable runs until he went for one shot to many and was out for 29. George came and played a lovely pull shot before contentiously being given caught behind by Sanjay . George still thinks it bounced off the ground before being caught smartly by Nomads Captain and wicket keeper Saurabh. Anyway George's Dad Howard in his own diplomatic way agreed it did not bounce off the ground before being caught and maybe the Captain had got something right for a change !!! at covers ..Not really sure why Andrew was fielding for the Nomads as they already had 11 players with Pete Hope helping them out, but that's something we may never know the answer to. In walked big Phil with the score on 78 for 5 off 20 overs. Phil managed to stick around for quite a few overs to build a small partnership with Ben holding fast at the other end. Ben finally departed in the 27th over after scoring 27 hard fought runs, may not be enough to get him an IPL call up for anytime soon, but he definitely played his part on the day for his new team Barnes CCC. The lower order consisting of Keith 17, Andrew P - 19, Adi - 15 n.o and the other debutante Peter 14 n.o. did really well to play out the entire 40 overs and take the team to a semi respectable total of 178. Batting figures - Nik- 11, Ben - 27 , Sanjay - 4, Vish - 29 , George - 4, Henry - 0 , Phil - 16 , Keith - 17 , Andrew - 19 , Adi - 15 n.o & Peter - 14 n.o. Stand out bowlers for the Nomads were Abi - 6-0-29-3 & Hamza - 10-0-46-2 . Tea was taken. Thanks to Maureen and Dirk once again for organizing it . Nomads batting - requiring 179 to win Nomads started very well with Kunal and Jeremy going great guns as they added 32 for the 1st wicket in only 5 overs !! Vish eventually bowled Kunal with a very quick yorker uprooting his off stump for 23 well made runs. Jeremy carried on frustrating the BCCC bowlers and scored a slow but useful 49 runs before eventually being bowled by the now famous Sanjay slow ball . Still requiring 7 runs per over with 6 overs still to go, BCCC kept the bowling very tight until the penultimate over of the innings with the Nomads still requiring 14 runs to win and Sanjay went for 12 leaving Henry only 2 runs to defend !! Unfortunately it was not to be and Suraj hit the winning run to take Nomads home with just 3 balls to spare !! This from memory is the 3rd close game, won or lost, in the last over of the innings. Well done to Nomads - hopefully we will beat them on the return game at the end of the season. Thank you to the debt collector Tim for his tact and hopefully not upsetting any more new players and for his scoring duties. I hardly noticed him on the Common on Sunday. Well done. Conclusion - stating the obvious here but a few more runs would have helped BCCC put up a better fight along with a lot more control when we bowled as BCCC gave away 30 extras compared to Nomads 9 !! 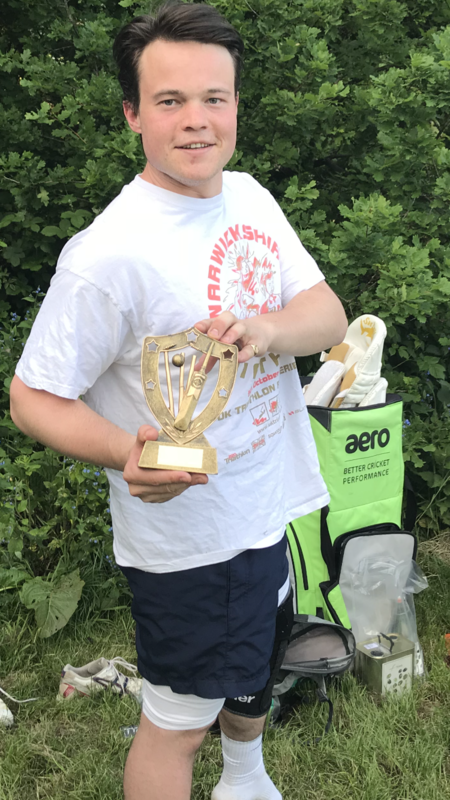 Man of the Match - Ben Taylor our own resident Geoff Boycott and debutante for showing the top order how to stick it out on a tricky wicket by scoring 27 runs in 27 overs !! Catch/s of the Match - Henry took a sharp catch at point. Shot of the day - Andrew P for his 1st ever six from memory over midwicket !! Embarrassing moment/s - there was one. But only applies to me so will leave it out . A few Barnes players are aware of what happened.